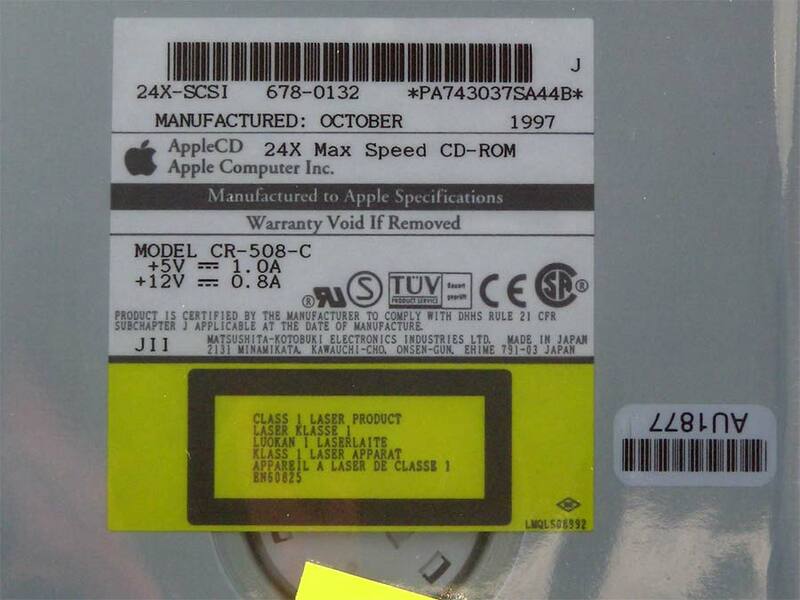 Apple 24X Internal SCSI CD-ROM Drive, 661-1400, 678-0132. Model CR-508C. This drive will work in all Power Macs, or probably any Mac with an internal SCSI bus and an empty drive bay. 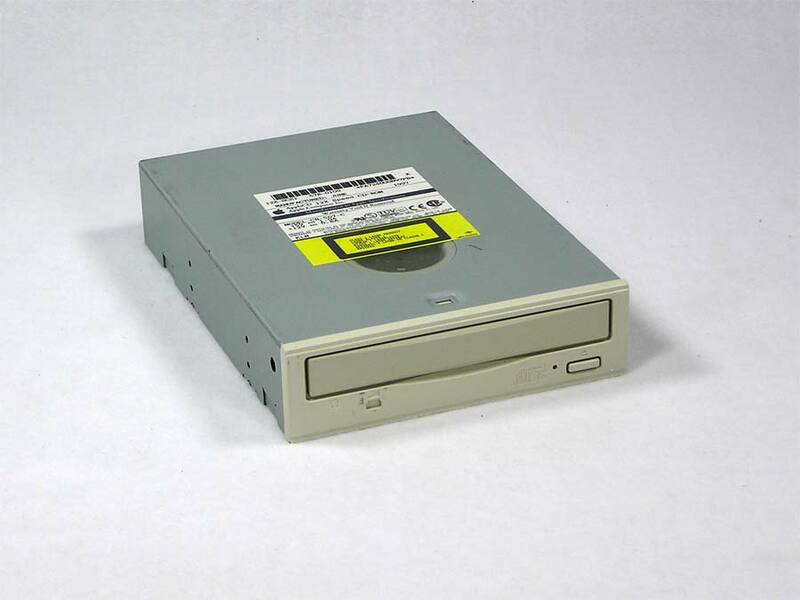 Of course it can also be put into an external SCSI enclosure. New in box! There are 3 drives in stock with consecutive serial numbers, AU1875, AU1876, AU1877. I had to open one of the boxes as my search for 661-1400 didn’t produce any results. 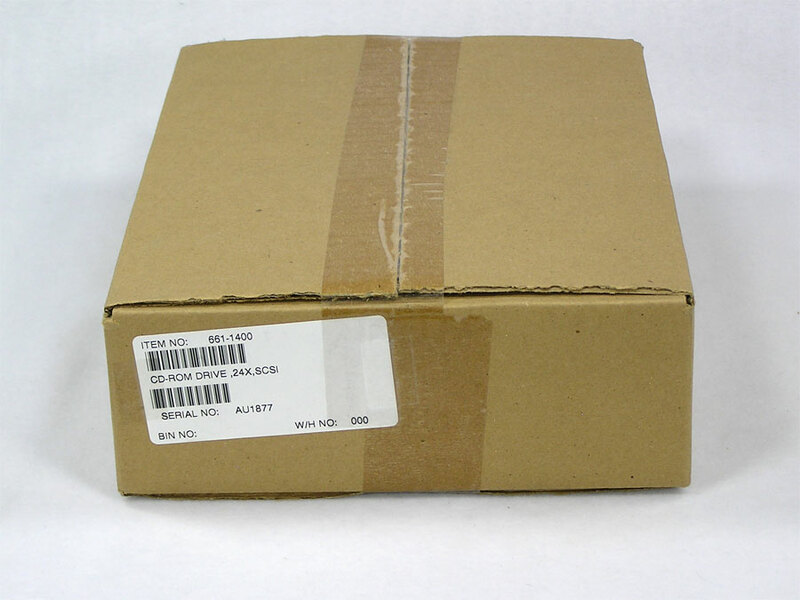 Contact me for a shipping quote if you would like the CD box to ship inside another box. Also available is a used Matsushita CR-508. Same drive as above, but without Apple label (no photo). 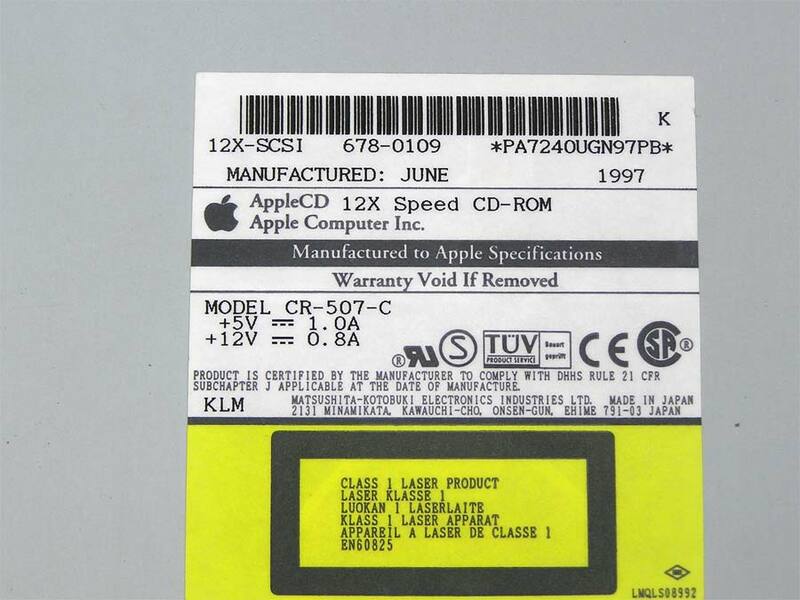 AppleCD 300 CD-ROM Drive is an internal drive using a SCSI interface. May also be called 300i or 300 Plus. 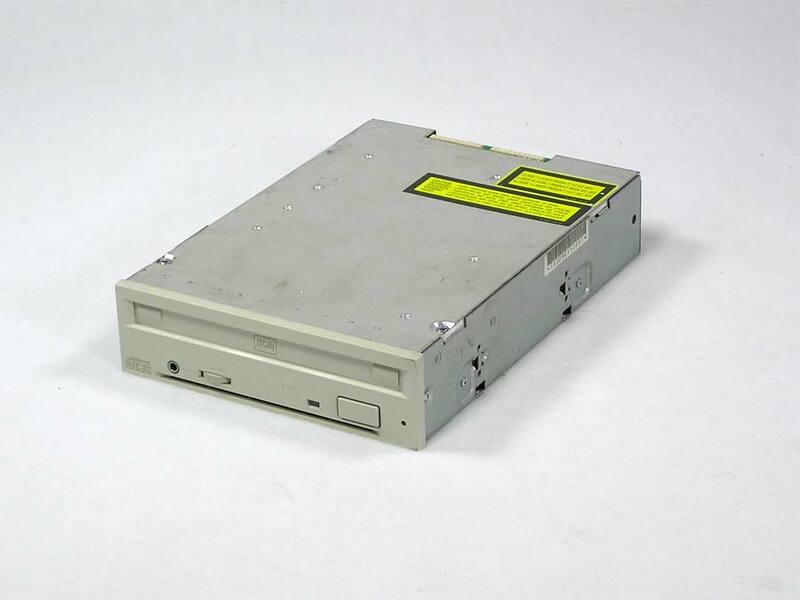 These early drives use a caddy or cd carrier inserted into the drive. 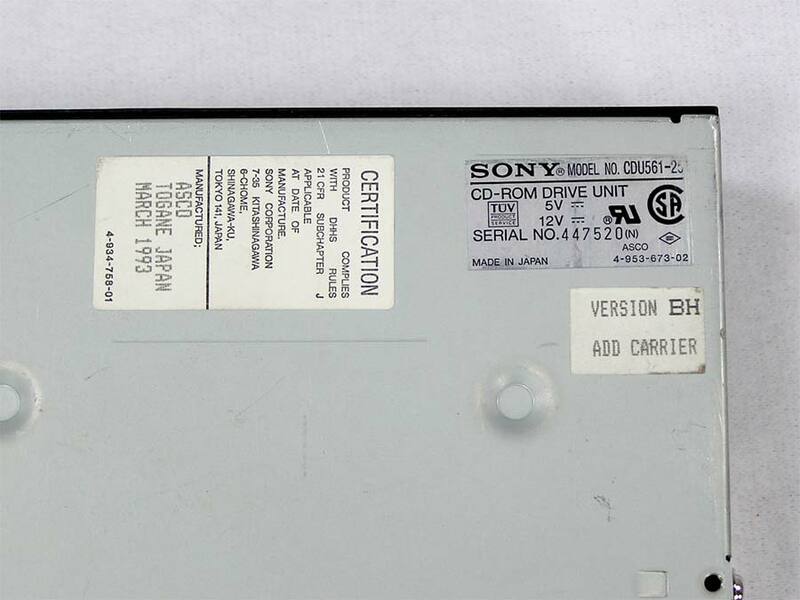 Models in stock are not Apple branded and are Sony drives, Model CDU561-25. 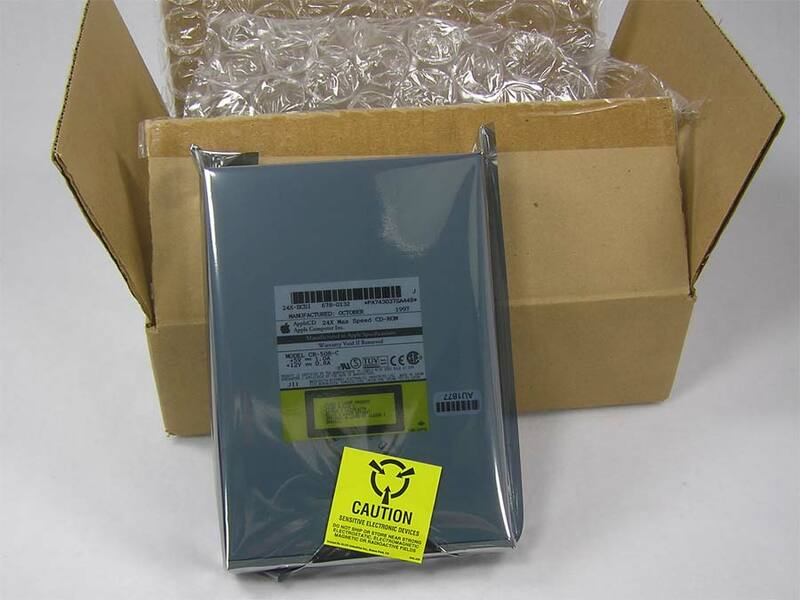 The drive pictured would be suitable for installation in an external housing or original application. 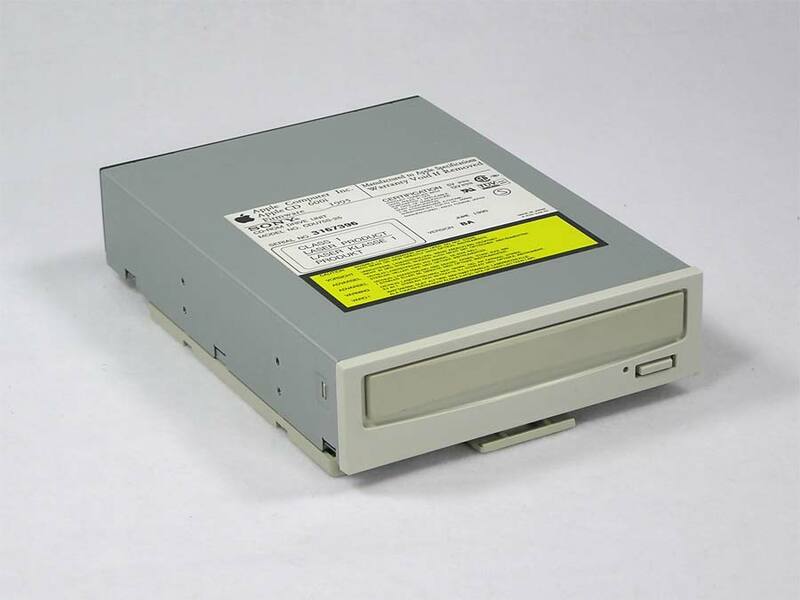 Also available are modified drives that have had the volume button and headphone jack removed for probable installation in Macs or cases intended to have a tray load. All are tested to read CD’s. 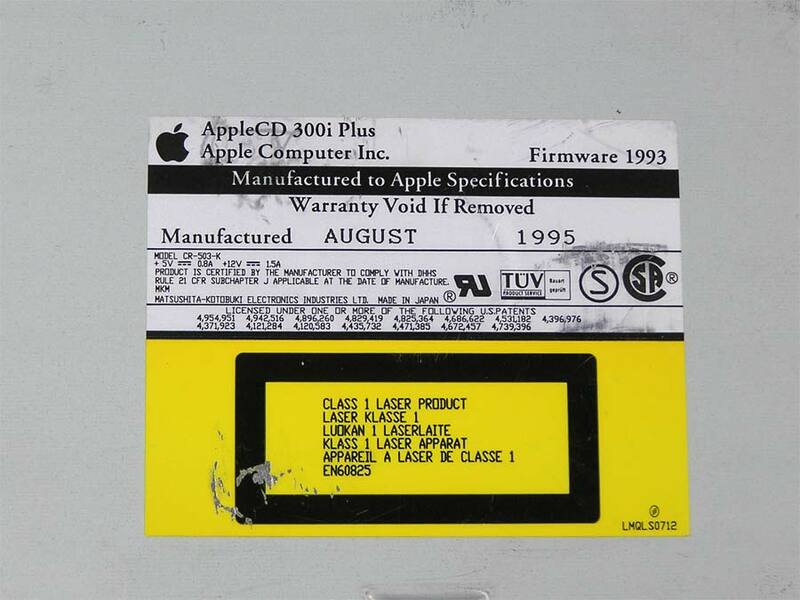 AppleCD 300 Plus. 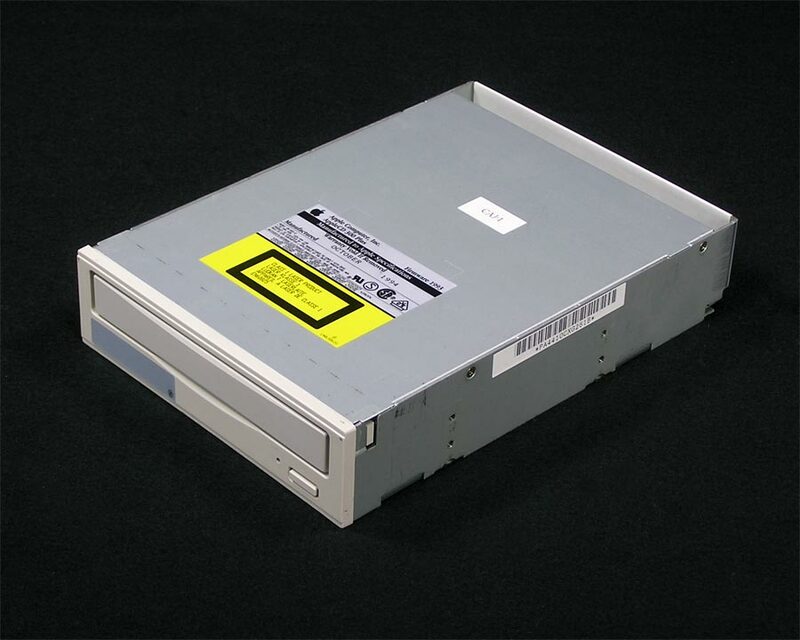 This is an internal SCSI tray load 2X CD-ROM drive. It can also be installed in an external SCSI case for use with any Macintosh from the Plus to Beige G3 and Apple IIGS. This drive replaced the AppleCD 300 drive which uses a CD caddy. 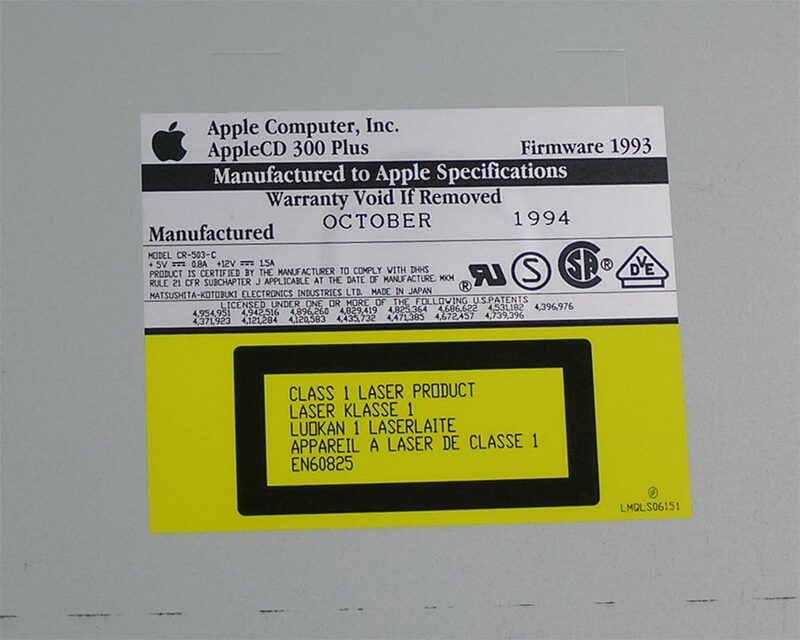 While it can be used with any Macintosh with internal SCSI and a drive bay, it came as either standard or optional in the Power Mac and Performa 6100 series. 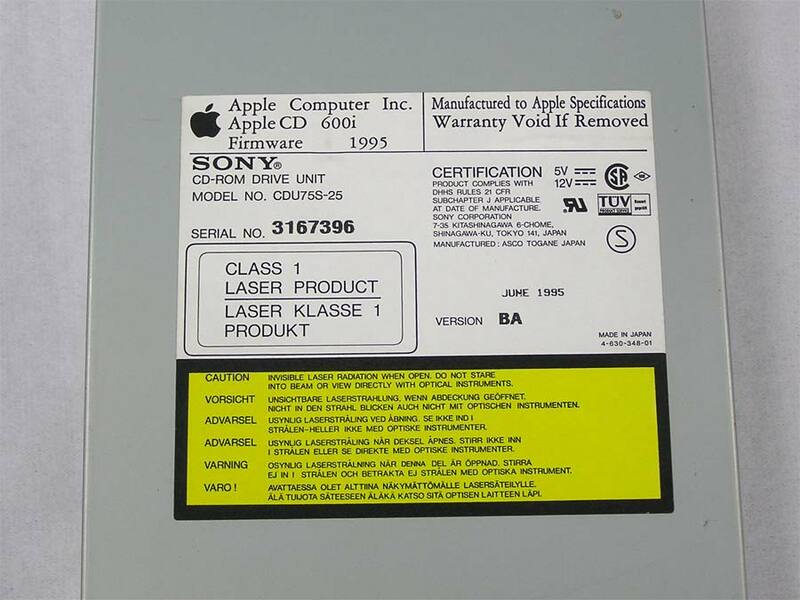 Manufactured by Matsushita, CR-503-C.
AppleCD 300i Plus CD-ROM Drive, internal Apple CD Drive Model CR-503-K. SCSI interface, tray load. Photo for illustration only, you may receive a different 300i Plus drive. Note that the side rails are not included and are sold separately here. 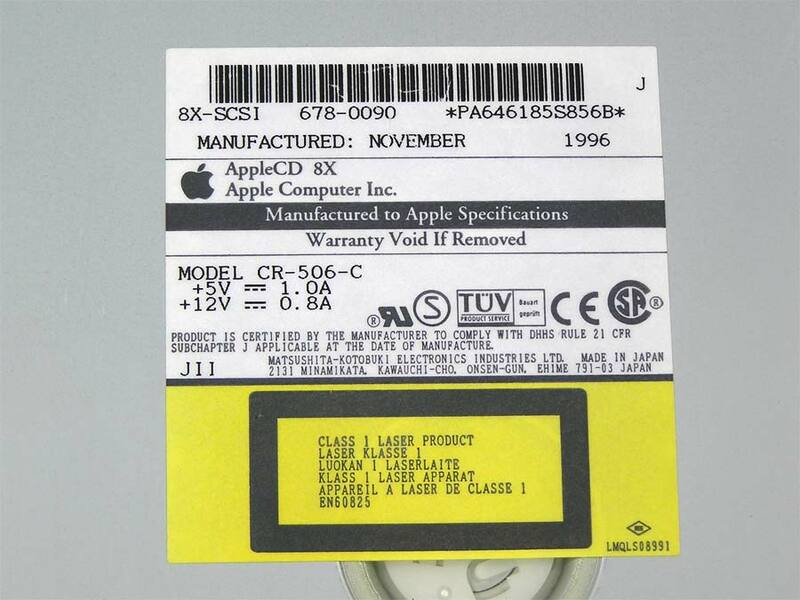 AppleCD 8X. 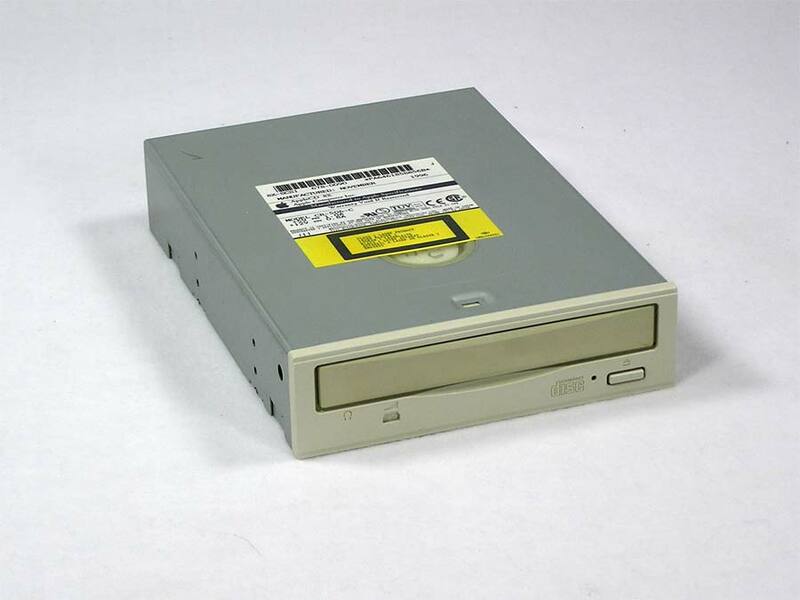 Internal SCSI CD-ROM Drive, 678-0090. Matsushita CR-506-C. Tray load. SCSI interface. 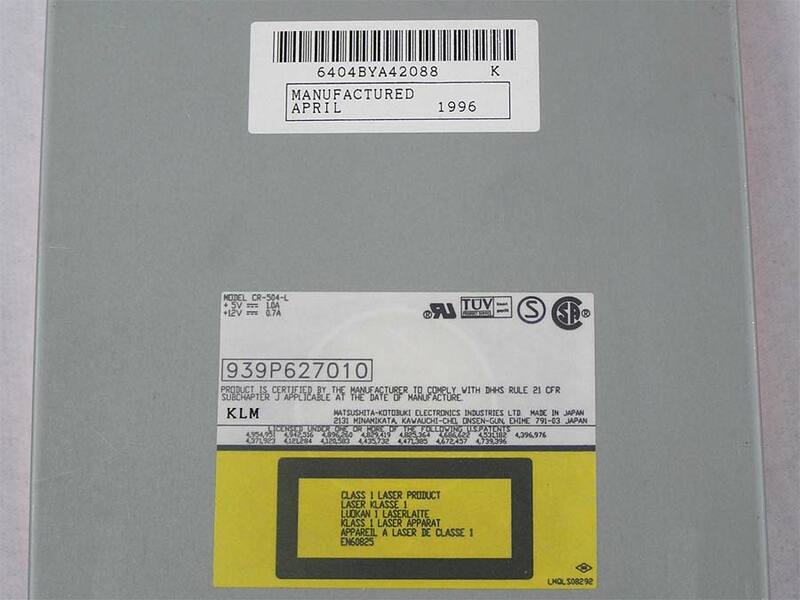 AppleCD 600i CD-ROM Drive, internal, tray load, Apple CD Drive. Apple 678-0065. Drive may be either Matsushita Model CR-504-L or Sony Model CDU-75S-25. Mounting carrier or sled not included, but available here. Note that the Matsushita CR-504-L drives currently in stock are not Apple branded and may not contain the firmware needed to actually boot from the drive. Workarounds are possible. Drivers can be found at the Mac Driver Museum. 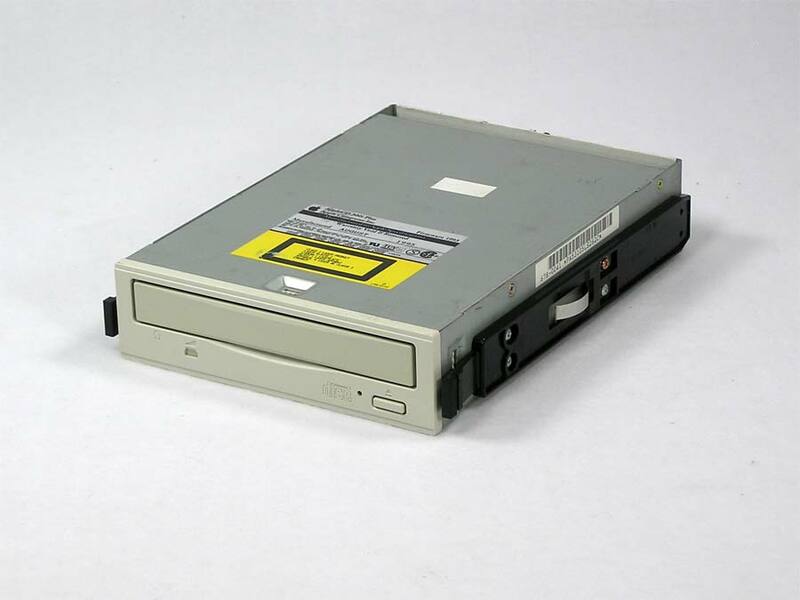 This Teac 16X CD-ROM Drive, Model CD-516S, came out of a Power Computing PowerPro 180. The internal tray load SCSI CD drive works great!